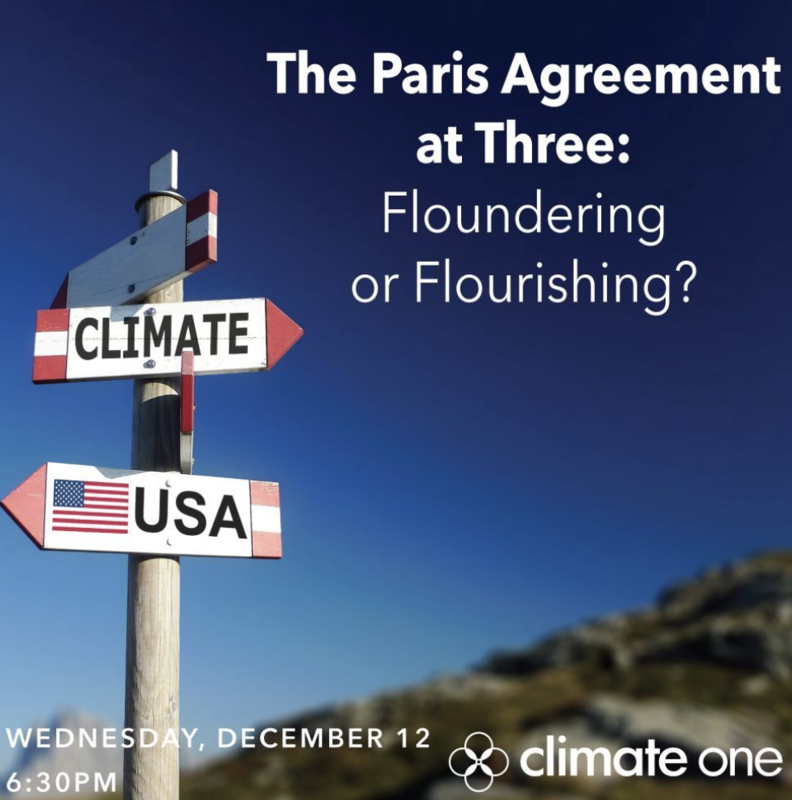 The Paris Agreement at Three: Floundering or Flourishing? In its infancy, the Paris Agreement carried the promise of a truly global climate solution, but now U.N. reports say current commitments are only a fraction as strong as they need to be in order to avoid catastrophic climate change. Supporters still say the agreement is the first step in setting the global economy toward a sustainable future. Critics say it’s dangerously delusional to think the pact is ambitious enough to prevent immeasurable suffering and economic harm. Join Climate One for a close look into the vitals of the Paris Agreement with climate experts Katharine Mach, Senior Research Scientist at Stanford University, and Trevor Houser, Partner at the Rhodium Group, both key players in the research and policy underpinning the agreement. Is it on track to meet its goal of keeping climate change in check? Can cities, states and corporations make up for the leadership void created by the departure of the US federal government?